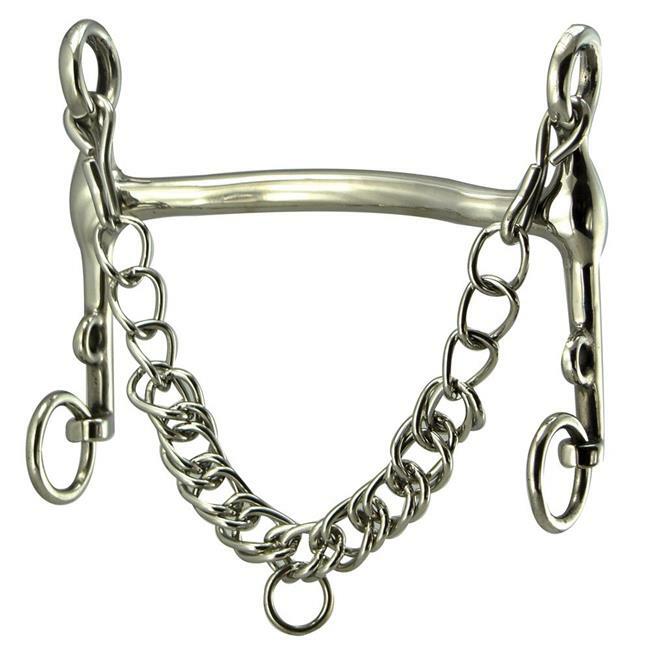 Dressage mullen mouth curb bit mullen mouth bit with curb leverage. A stainless steel bit made by coronet. Comes with stainless steel curb hooks and chain.